Rate this project Raffaele Forte has announced the release of BackBox Linux 4.2, the latest stable build of the project's Ubuntu-based distribution dedicated to penetration testing and forensic analysis: "The BackBox team is pleased to announce the updated release of BackBox Linux, version 4.2! This release includes features such as Linux Kernel 3.16 and Ruby 2.1. What's new: preinstalled Linux kernel 3.16; new Ubuntu 14.04.2 base; Ruby 2.1; installer with LVM and full disk encryption options; handy Thunar custom actions; RAM wipe at shutdown and reboot; system improvements; upstream components; bug corrections; performance boost; improved anonymous mode; predisposition to ARM architecture (armhf Debian packages); predisposition to BackBox Cloud platform. New and updated hacking tools: beef-project, crunch, fang, galleta, jd-gui, metasploit-framework, pasco, pyew, rifiuti2, setoolkit, theharvester, tor, torsocks, volatility, weevely, whatweb, wpscan, xmount, yara, zaproxy." Read the rest of the release announcement for system requirements and upgrade instructions. Download the new BackBox Linux live DVD image from here: backbox-4.2-amd64.iso (1,871MB, MD5, torrent, pkglist). BackBox Linux is an Ubuntu-based distribution designed for penetration testing and security evaluations. The Backbox distribution is designed to be fast and easy to use with a wide collection of security utilities. 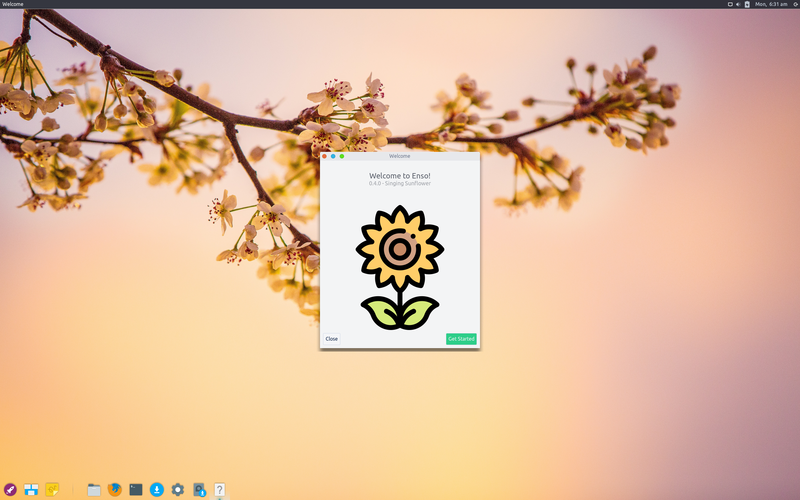 It provides a minimal yet complete desktop environment The BackBox project has announced the release of a new version, BackBox 5. The new version features Linux 4.8, several updated tools and builds for 32-bit and 64-bit x86 computers. The release announcement shares the following details: "The BackBox Team proudly announces the major release of BackBox Linux version 5. It took long due to several development processes, but we worked hard and got through it. In this major release we made some structural changes, we removed outdated tools and added new ones. What's new? New logo and identity; updated Linux kernel 4.8; updated all hacking tools. System requirements: 32-bit or 64-bit processor; 1,024 MB of system memory (RAM); 10 GB of disk space for installation; graphics card capable of 800×600 pixel resolution; DVD-ROM drive or USB port (3 GB)." Download (SHA256) the BackBox Linux 5 live DVD image from here: backbox-5-amd64.iso (2,186MB, torrent, pkglist). BackBox Linux is an Ubuntu-based distribution used for security assessment and penetration testing. 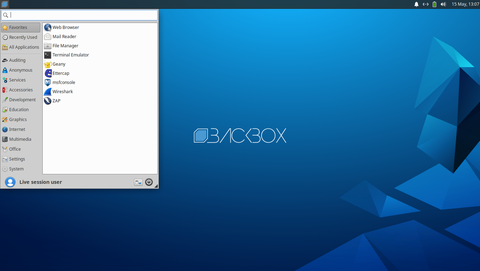 The project has released a new stable version, BackBox Linux 4.7, which upgrades key components and fixes several bugs. "The BackBox team is pleased to announce the updated release of BackBox Linux, version 4.7. We thought to release a new minor version to give our users the opportunity to have a stable and up-to-date system until the next official major release, i.e. BackBox 5, still under development. In this release we have fixed some minor bugs, updated the kernel stack, base system and tools. The ISO images for 32-bit and 64-bit can be downloaded from the official web site download section. What's new? Updated Linux kernel 4.4; updated hacking tools - beef, Metasploit, OpenVAS, SE Toolkit, sqlmap, WPScan." Existing BackBox 4.x users can upgrade to the latest release rather than perform a fresh installation. Further details can be found in the project's release announcement. Download (SHA256) the live DVD image from here: backbox-4.7-amd64.iso (2,358MB, torrent, pkglist). Raffaele Forte has announced the release of BackBox Linux 4.6, a new version of the project's Ubuntu-based distribution containing a large collection of security tools designed for penetration testing and forensic analysis: "The BackBox team is pleased to announce the last of 4.x minor releases - BackBox Linux 4.6. In this release we have fixed some minor bugs, configured Ruby 2.2 as the default Ruby, updated the base system and tools. What's new? Updated Linux kernel 4.2; updated Ruby 2.2; updated hacking tools - Beef, dirsearch, Metasploit, OpenVAS, SE Toolkit, Volatility, WPScan, wxHexEditor and YARA. System requirements: 32-bit or 64-bit processor; 512 MB of system memory (RAM); 10 GB of disk space for installation; fraphics card capable of 800×600 resolution; DVD-ROM drive or USB port (3 GB)." Here is the brief release announcement with upgrade instructions. The new version of BackBox Linux is available for download from this mirror in Italy: backbox-4.6-amd64.iso (2,270MB, SHA256, torrent, pkglist). The BackBox development team has announced the release of BackBox Linux 4.5. BackBox is an Ubuntu-based distribution developed to perform penetration tests and security assessments. The new release features an updated Linux kernel (version 4.2) and security tools such as Automotive Analysis and OpenVAS. "The BackBox team is pleased to announce the updated release of BackBox Linux, the version 4.5. In this release we have some special new features included to keep BackBox up to date with the latest developments in the security world. Tools such as OpenVAS and Automotive Analysis will make a big difference. BackBox 4.5 comes also with kernel 4.2. What's new? System improvements; upstream components; bug corrections; performance boost; improved anonymous mode; new and updated hacking tools - wpscan, knockpy, nmap, zaproxy, set, guymanager, sqlmap...." Further information, including system requirements and upgrade instructions, can be found in the project's release announcement for BackBox Linux 4.5. Download (SHA256): backbox-4.5-amd64.iso (2,205MB, torrent, pkglist). The BackBox development team has announced the launch of BackBox Linux 4.4. BackBox is a penetration and security assessment distribution based on Ubuntu and this latest release contains some fresh security tools and package upgrades. "The BackBox team is pleased to announce the updated release of BackBox Linux, the version 4.4. In this release we have some special new features included to keep BackBox up to date with last developments in security world. Tools such as OpenVAS and Automotive Analysis will make a big difference. BackBox 4.4 comes also with Linux kernel 3.19. What's new: preinstalled Linux kernel 3.19, new Ubuntu 14.04.3 base, Ruby 2.1, installer with LVM and full disk encryption options, handy Thunar custom actions, RAM wipe at shutdown/reboot..." This release is based on Ubuntu 14.04.3, supports full disk encryption and includes a RAM wipe feature. Further details can be found in the project's release announcement. Download (MD5): backbox-4.4-amd64.iso (2,178MB, torrent, pkglist). Raffaele Forte has announced the release of BackBox Linux 4.3, the latest stable build of the project's Ubuntu-based distribution containing a collection of utilities designed to perform penetration testing and forensic analysis tasks: "The BackBox Team is pleased to announce the updated release of BackBox Linux, version 4.3. This release includes features such as Linux kernel 3.16 and Ruby 2.1. What's new? Preinstalled Linux kernel 3.16; new Ubuntu 14.04.2 base; Ruby 2.1; installer with LVM and full disk encryption options; handy Thunar custom actions; RAM wipe at shutdown/reboot; system improvements; upstream components; bug corrections; performance boost; improved anonymous mode; predisposition to ARM architecture (armhf Debian packages); predisposition to BackBox Cloud platform; new and updated hacking tools: beef-project, btscanner, dirs3arch, metasploit-framework, ophcrack, setoolkit, tor, weevely, wpscan." Read the rest of the release announcement for more information, system requirements and upgrade instructions. Download: backbox-4.3-amd64.iso (1,927MB, SHA256, torrent, pkglist). Raffaele Forte has announced the release of BackBox Linux 4.1, an updated build of the Ubuntu LTS-based distribution designed for penetration testing and forensic analysis tasks: "The BackBox Team is pleased to announce the updated release of BackBox Linux, the version 4.1. This release includes features such as Linux kernel 3.13, EFI mode, anonymous mode, LVM + disk encryption installer, privacy additions and armhf Debian packages. What's new: new Ubuntu 14.04.1 base; handy Thunar custom actions; RAM wipe at shutdown and reboot; system improvements; upstream components; bug corrections; performance boost; improved anonymous mode; predisposition to ARM architecture (armhf Debian packages); predisposition to BackBox Cloud platform; new and updated hacking tools." See the release announcement for system requirements and upgrade instructions. Download the BackBox Linux 4.1 live DVD image from here: backbox-4.1-amd64.iso (1,920MB, MD5, torrent, pkglist). Raffaele Forte has announced the release of BackBox Linux 4.0, a major new version of the distribution designed for penetration testing - now based on Ubuntu 14.04 LTS: "The BackBox team is pleased to announce the updated release of BackBox Linux, version 4.0. This release includes features such as Linux kernel 3.13, EFI mode, anonymous mode, LVM + disk encryption installer, privacy additions and armhf Debian packages. What's new? New Ubuntu 14.04 base; handy Thunar custom actions; RAM wipe at shutdown and reboot; system improvements; upstream components; bug corrections; performance boost; improved anonymous mode; predisposition to ARM architecture (armhf Debian packages); predisposition to BackBox Cloud platform; new and updated hacking tools." Read the complete release announcement for system requirements and other information. Download: backbox-4.0-amd64.iso (1,824MB, MD5, torrent, pkglist).